When Androvett Legal Media & Marketing opened its doors 20 years ago, lawyer advertising had been legal for only 18 years and the Internet was still in its toddlerhood. Legal marketing primarily consisted of printed brochures, ads in the Yellow Pages and tombstone ads in a handful of newspapers that served the legal community. A few major firms had branding campaigns, but, beyond that, the world of law firm marketing was fairly subdued and reserved for those with sizable budgets. With the advent of smartphones and a much more mature Internet, legal marketing now is more targeted, integrated and content-focused. Why bother with a full-page ad for an amorphous group when you can target your audience with a laser-focused email or a social media post that leads them back to your website and content geared to their specific needs? That evolution has evened the playing field for smaller and mid-size firms that effectively were shut out of the old model. Firms without a budget for a print ad campaign or an expensive brochure can much more easily afford to maintain a blog that promotes their thought leadership in their area of expertise; social media posts that amplify that message; and e-announcements directed at prospective clients and referral sources. As for costly printed brochures, although some firms still use them, websites now serve the same function with the added benefit of being easy to modify and update. Just as important as how the message is delivered, however, is the content you provide. Today’s law firms are far more likely than they were 20 years ago to spend time and money on the front end to develop a brand that differentiates them from their competition. That branding – once solely the purview of mega firms with mega budgets – now allows small and mid-size firms to speak with a distinctive marketing voice in an increasingly crowded field. Marketing professionals: In the 1980s, major firms started hiring sophisticated marketing professionals, but many smaller firms continued to designate a young lawyer or a paralegal with marketing tasks. Now, with entire agencies and a growing field of professionals dedicated to legal marketing, firms have far more options. Websites: Law firms’ online homes have evolved from a “necessary evil” to an indispensable marketing tool. Even the most senior lawyers now understand the importance of having a good website where prospective clients can perform their due diligence. Content marketing: Selling one’s services through content has evened the playing field for solos and small firms. Traditional print and broadcast advertising can be expensive, but online marketing efforts are more affordable for all lawyers, regardless of firm size, years of experience, etc. Content is still king when it comes to search engines. Email: Today’s email has replaced the fax machine (thank goodness). Even though it is one of the oldest tools in the Marketing Toolbox, a remarkable amount of business is still done via email. Email marketing effectively has replaced print advertising and printed mailers, and many firms have developed their own email databases for distributing newsletters and e-announcements to existing clients and referring lawyers. Mobile technology: Smartphones and other mobile devices have transformed the way online communication works. Google now rewards websites that are mobile-friendly (and penalizes those that aren’t). Social media: Blogs, LinkedIn, Twitter and even Facebook have become the great equalizers, making online publishing available to literally everybody. Its ubiquity, however, has elevated the need for content to be relevant, high-quality and targeted. 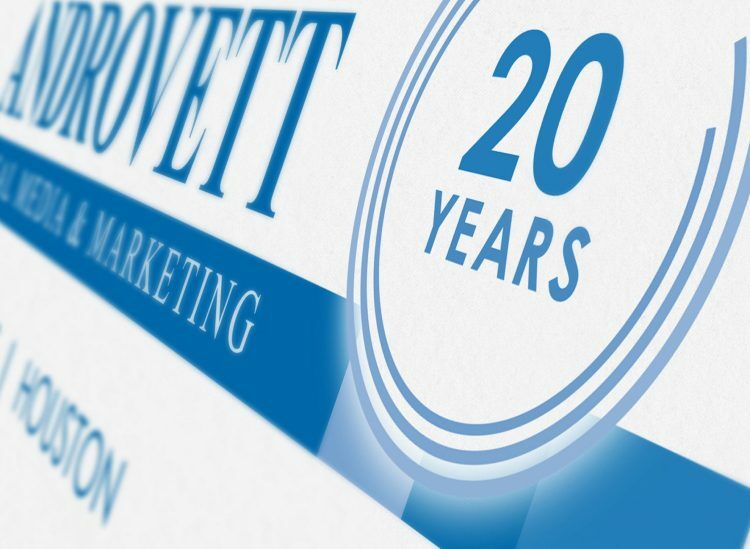 Androvett Legal Media & Marketing has 20 years’ experience helping lawyers and law firms navigate the ever-changing world of legal marketing. Whether it’s a traditional print advertisement or a mobile-friendly website, our marketing team can help your message break through the clutter.